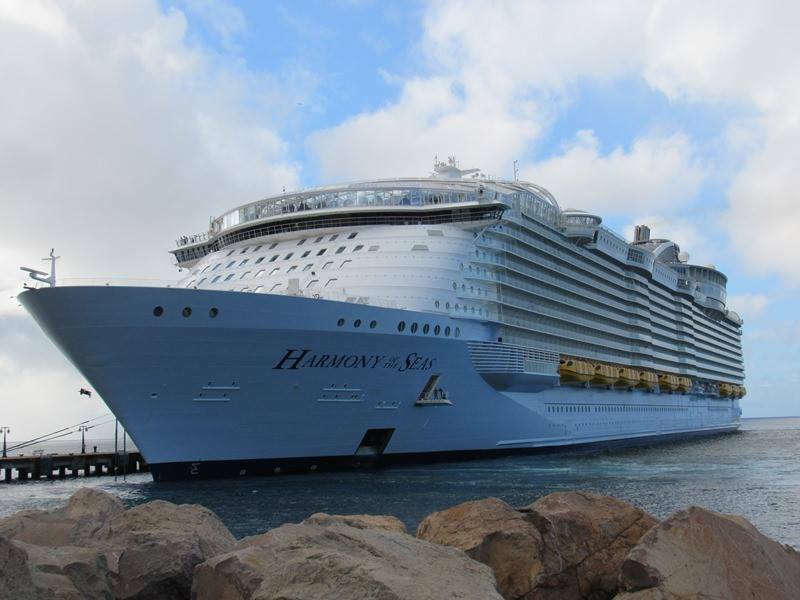 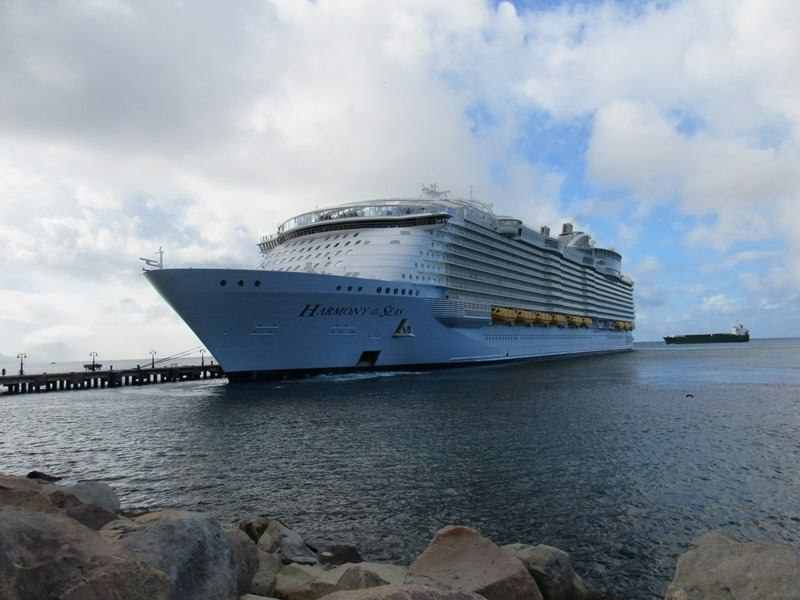 BASSETERRE (4th May, 2017): St. Kitts celebrated yesterday the historic arrival of the world’s largest cruise ship, the Harmony of the Seas. 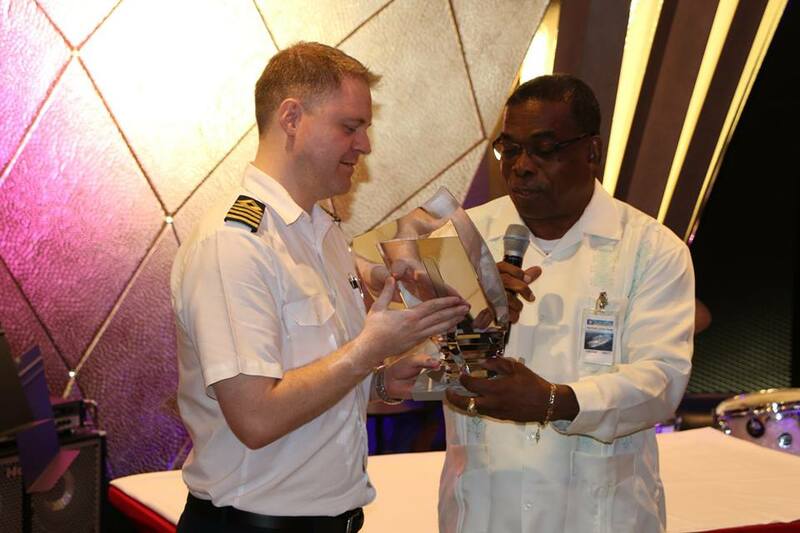 A plaque exchange ceremony was held onboard the Harmony of the Seas to commemorate the historic arrival. 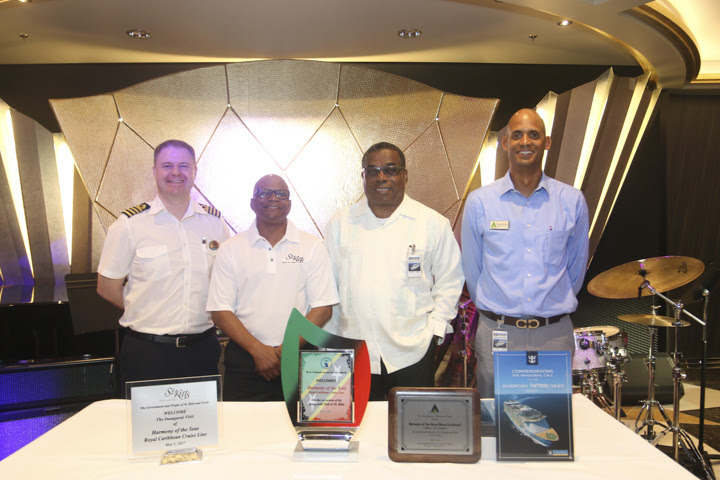 (From Left to right) Staff Captain Kenneth Moeller, Minister The Hon. 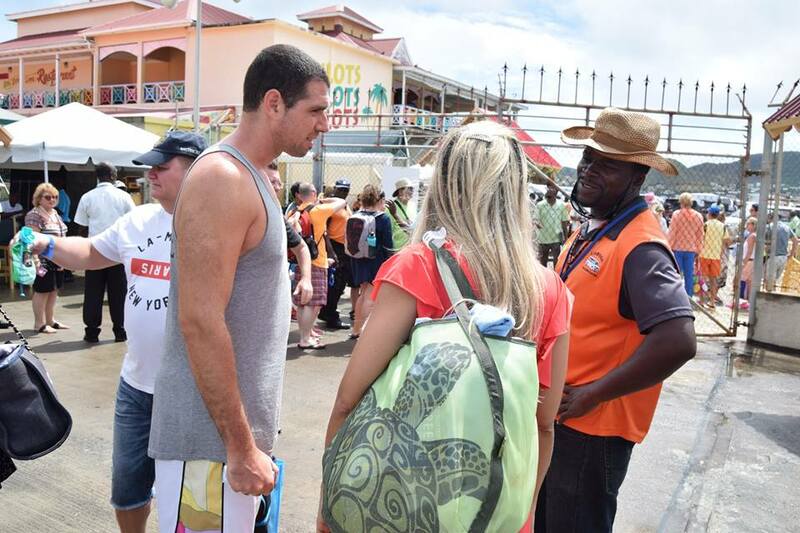 Lindsay Grant, Minister The Hon. 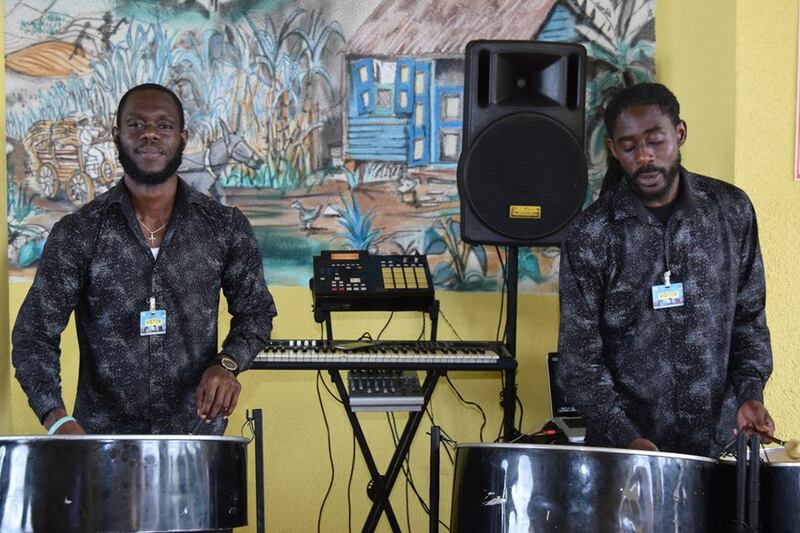 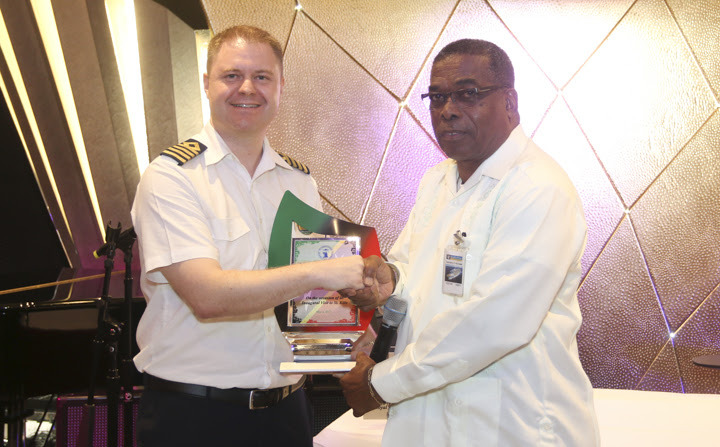 Ian ‘Patches’ Liburd and Executive Director at Delisle Walwyn & Company Limited, Clayton Perkins. 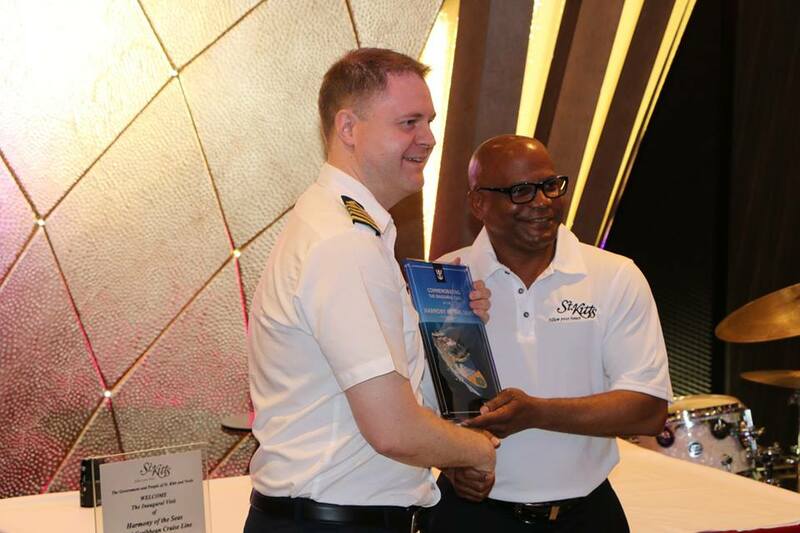 Minister Grants accepts a plaque for Staff Captain Kenneth Moeller to commemorate the inaugural visit. 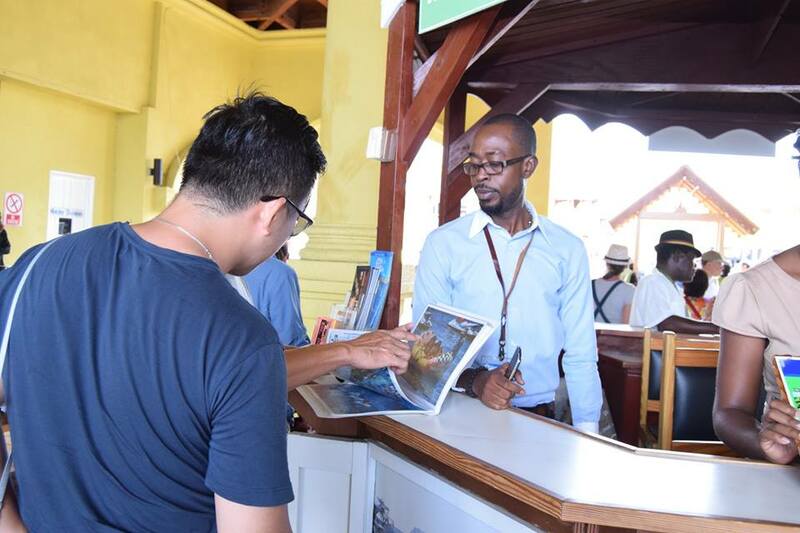 Minister of Tourism The Hon. 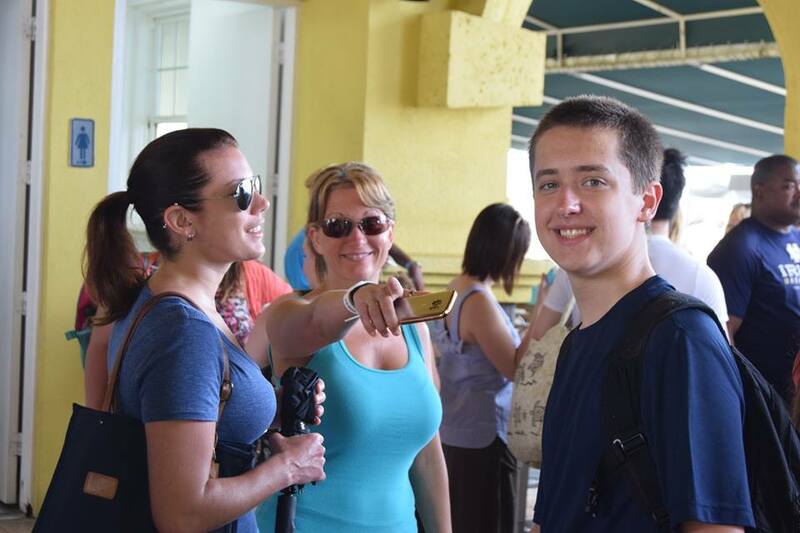 Lindsay F.P. 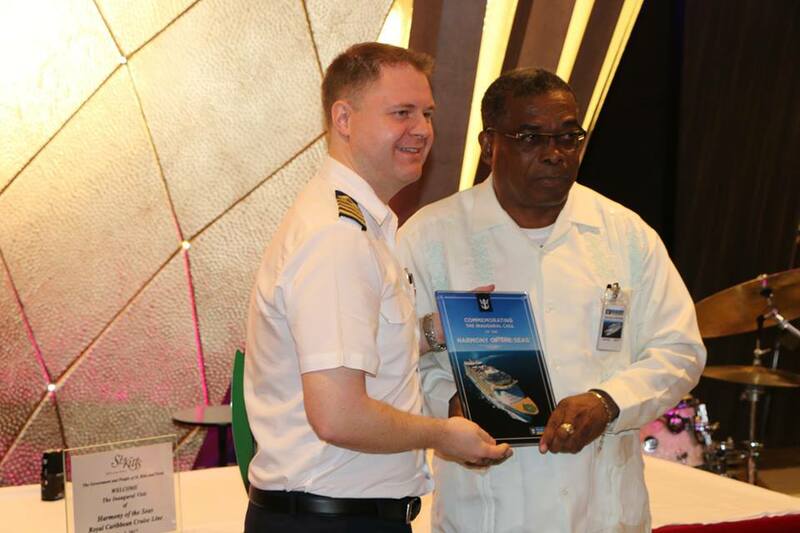 Grant along with the Minister responsible for Transport, The Hon. 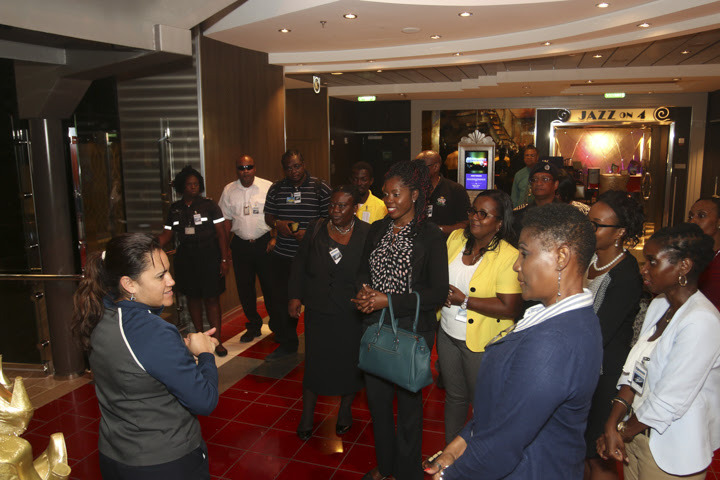 Ian ‘Patches’ Liburd led a delegation of tourism stakeholders to witness the extraordinary berth of the cruise giant at Port Zante. 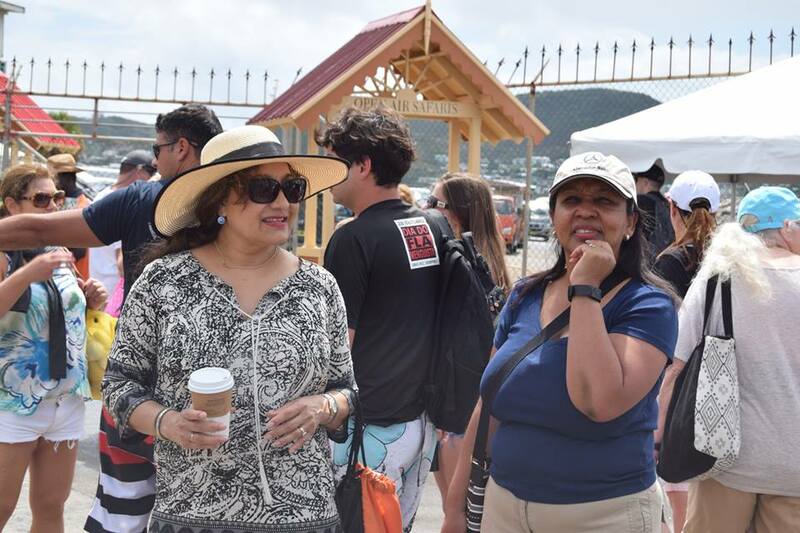 Minister Grant said that today was a very special day for St. Kitts, and that it has been 25 years in the making, going back to when Port Zante was first constructed. 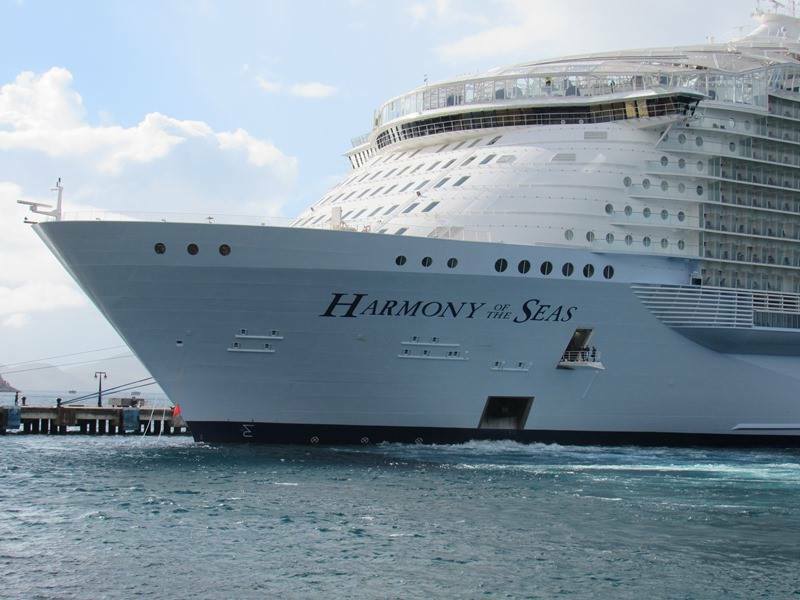 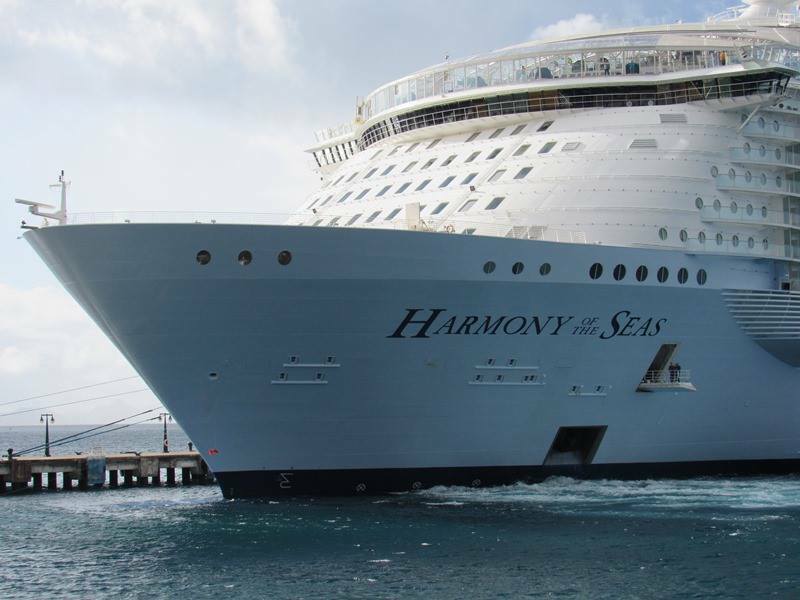 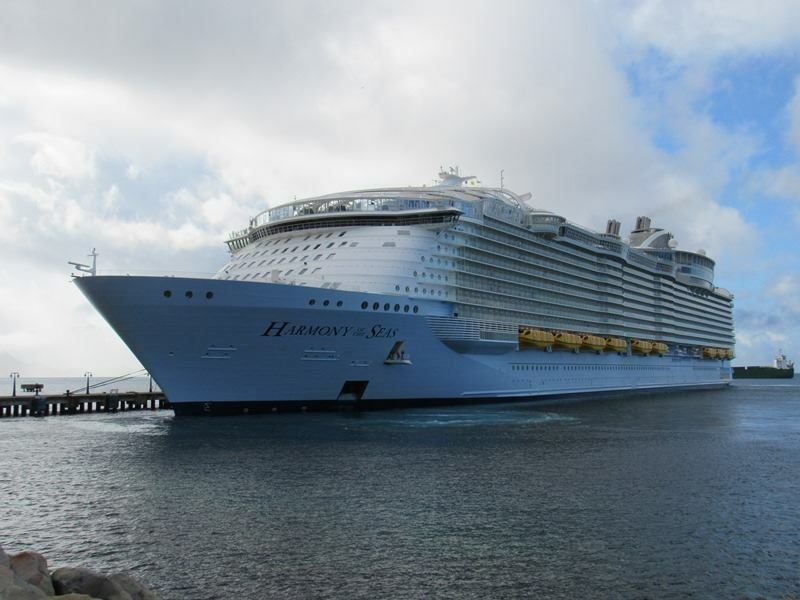 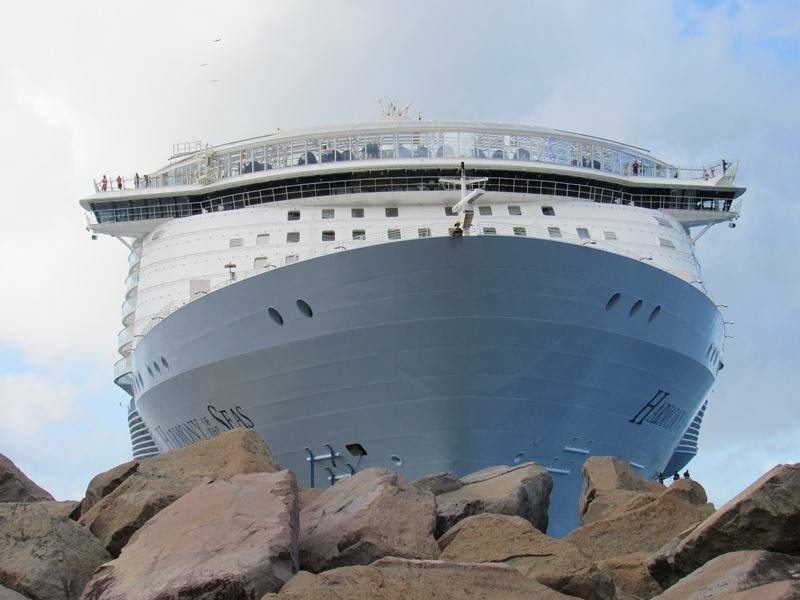 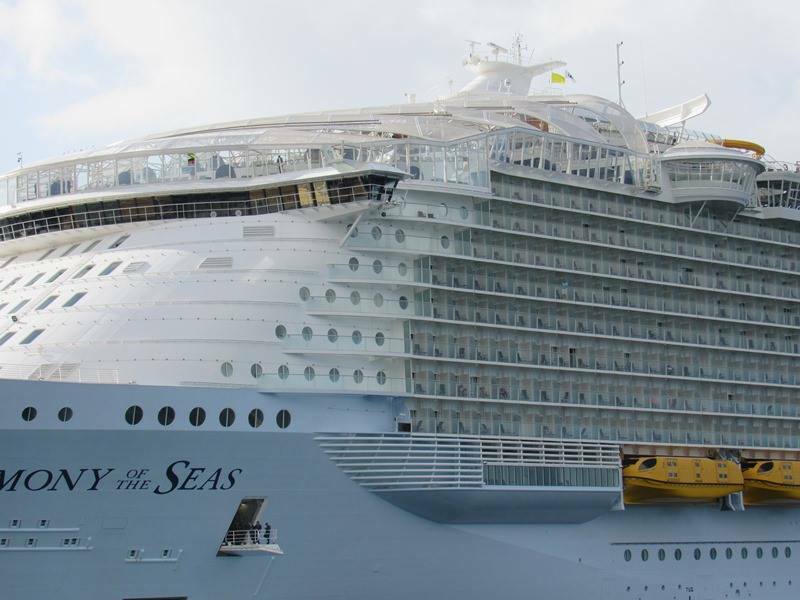 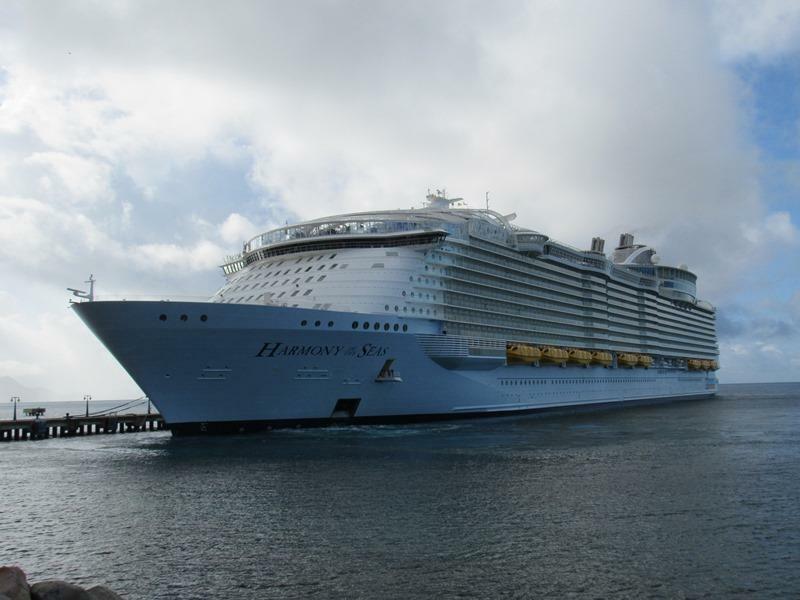 Harmony of the Seas is currently making its inaugural Caribbean visit for the 2016-2017 cruise season. 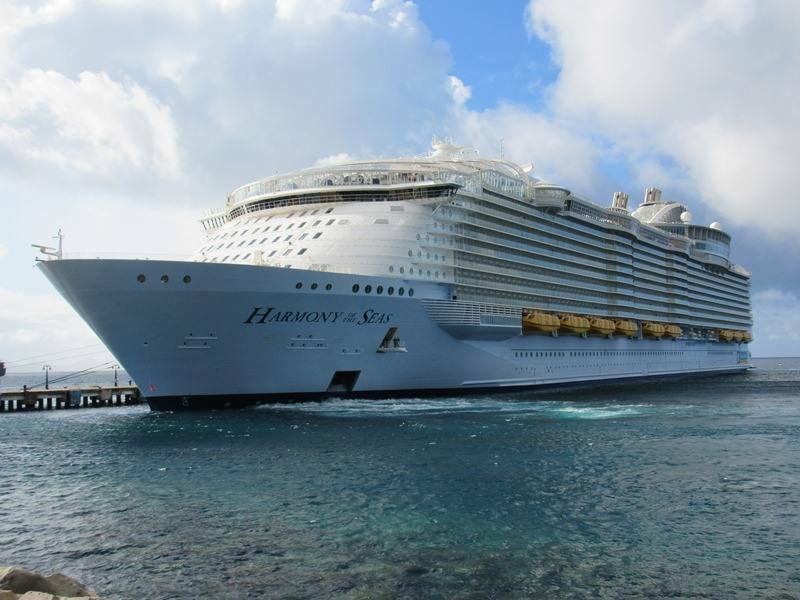 Only making stops at marquee ports including St. Thomas, Jamaica, Haiti, Bahamas, St. Maarten and Puerto Rico. 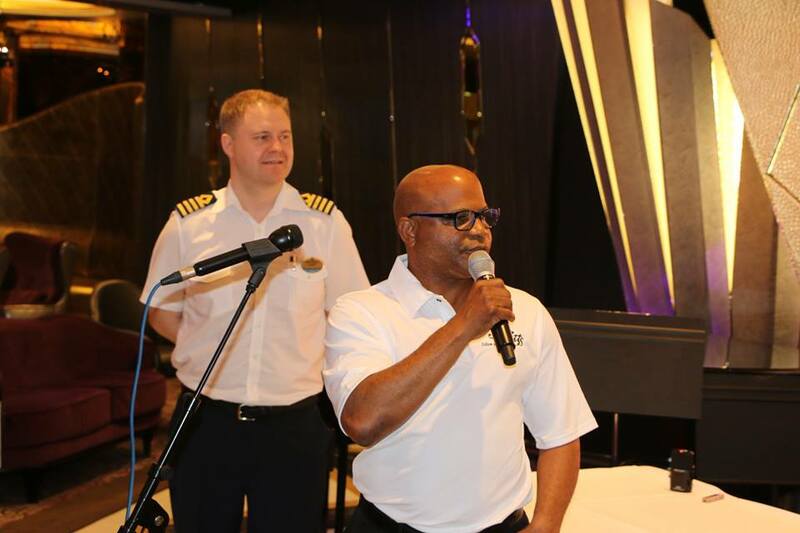 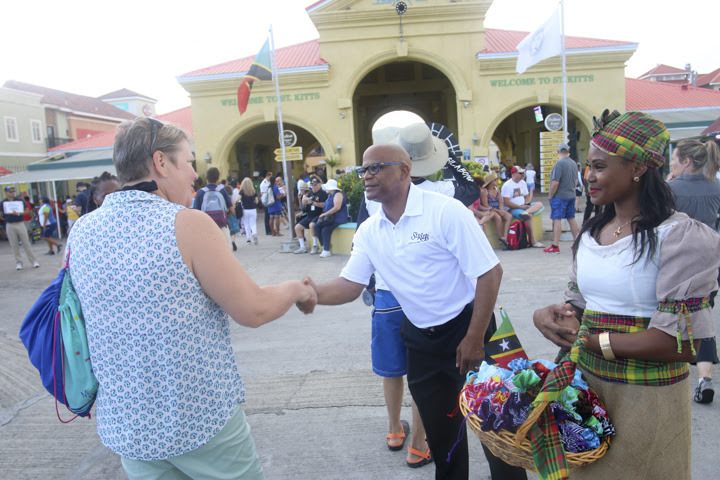 Minister Grant spent the morning welcoming passengers to St. Kitts. 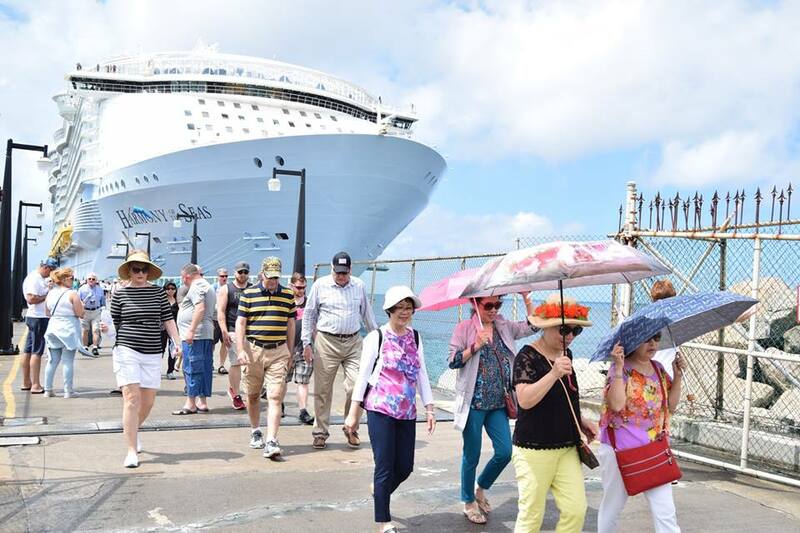 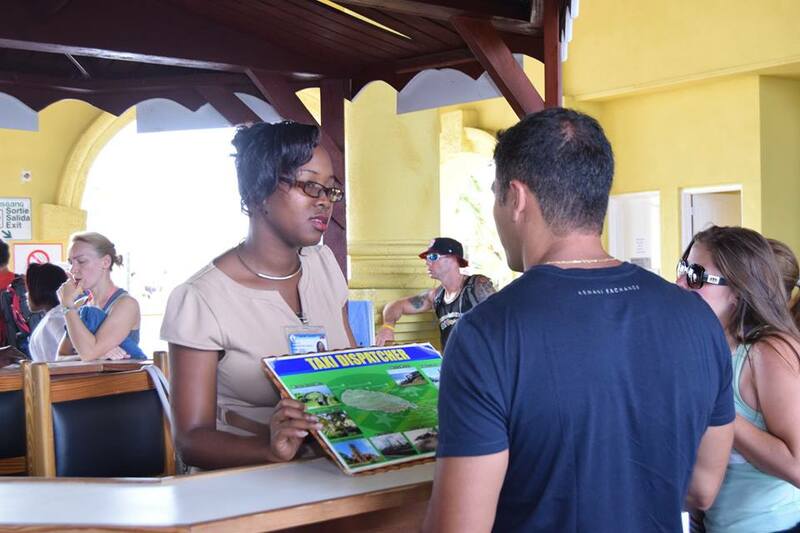 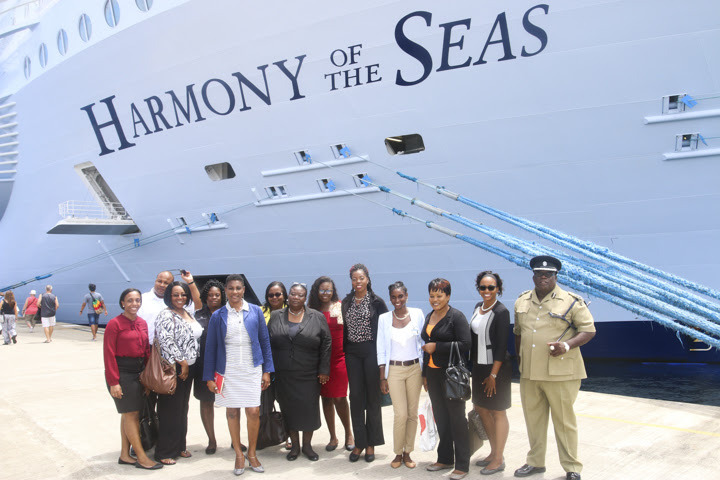 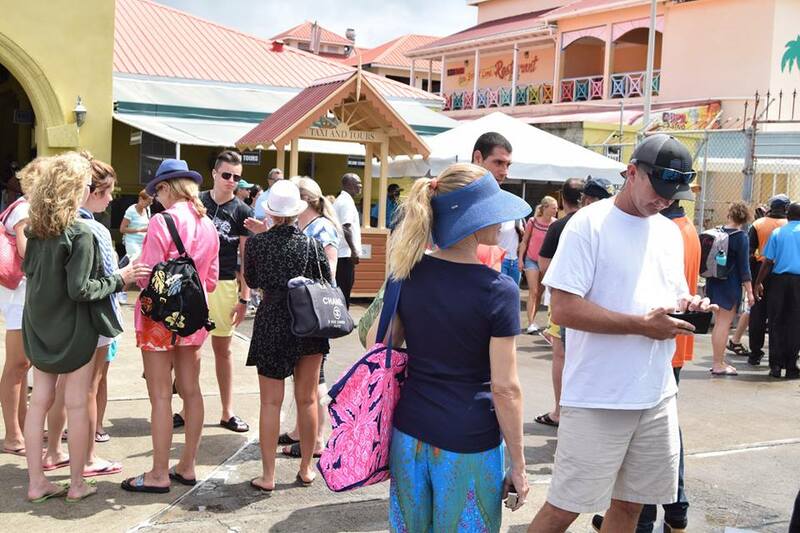 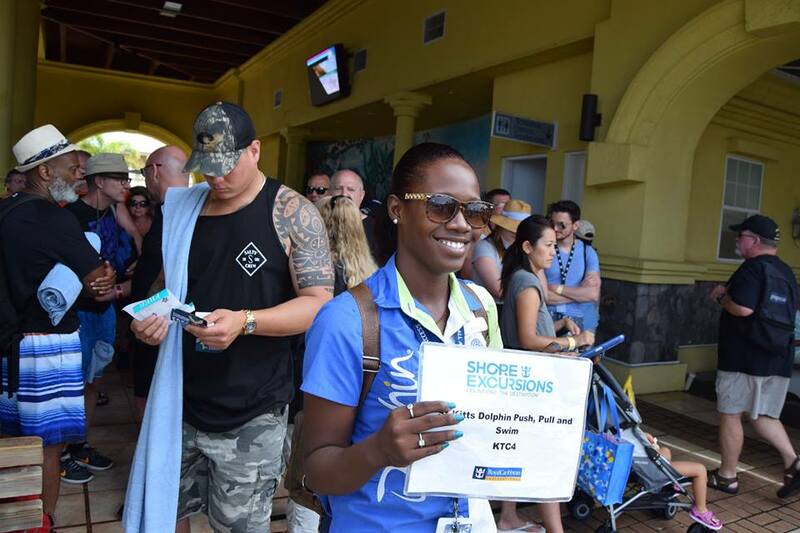 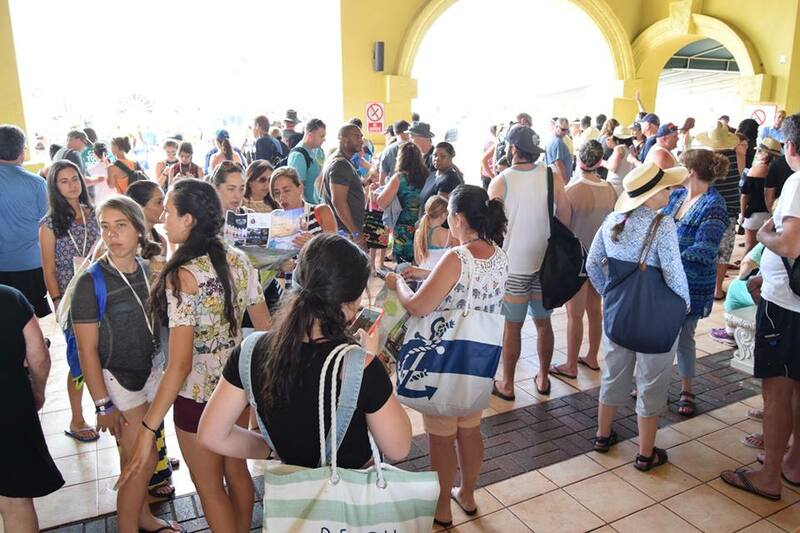 Stakeholders of the St. Kitts Tourism Industry prepare to take a tour of the Harmony of the Seas. 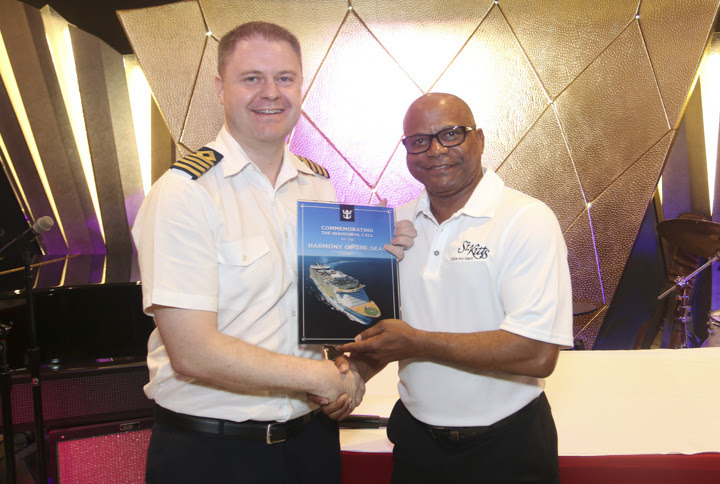 Minister Liburd presents a plaque to Captain Kenneth Moeller to commemorate the inaugural arrival the Harmony of the Seas. 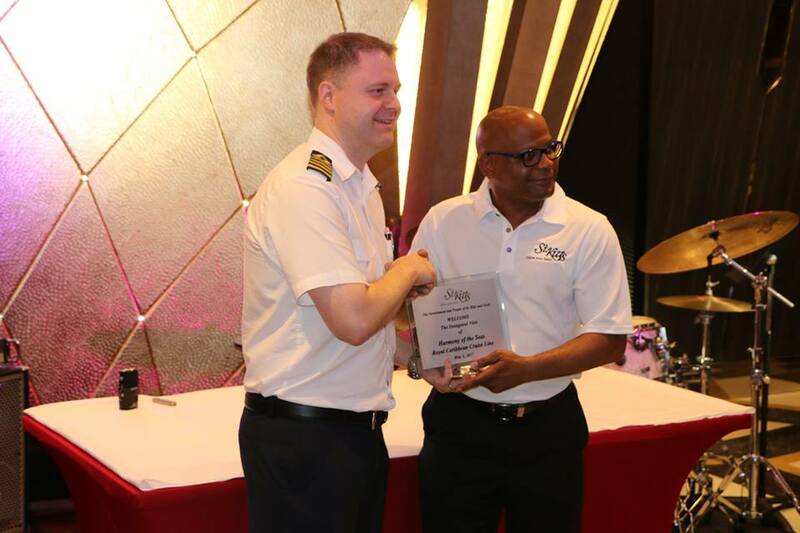 Minister Liburd said the second pier will soon be under construction, and it will be able to handle two Oasis Class ships simultaneously. 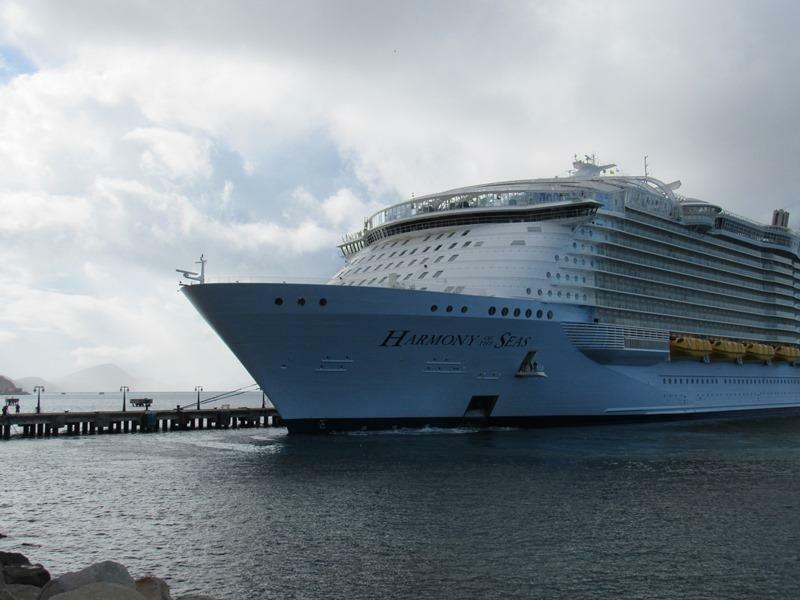 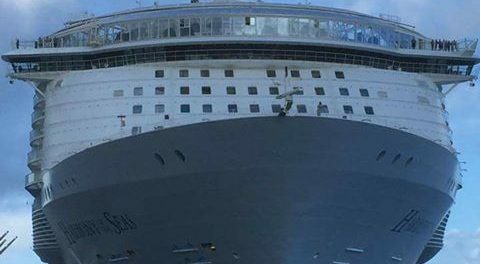 The Harmony of the Seas is the newest and largest addition to the Royal Caribbean Cruise Line’s, Oasis Class Fleet. 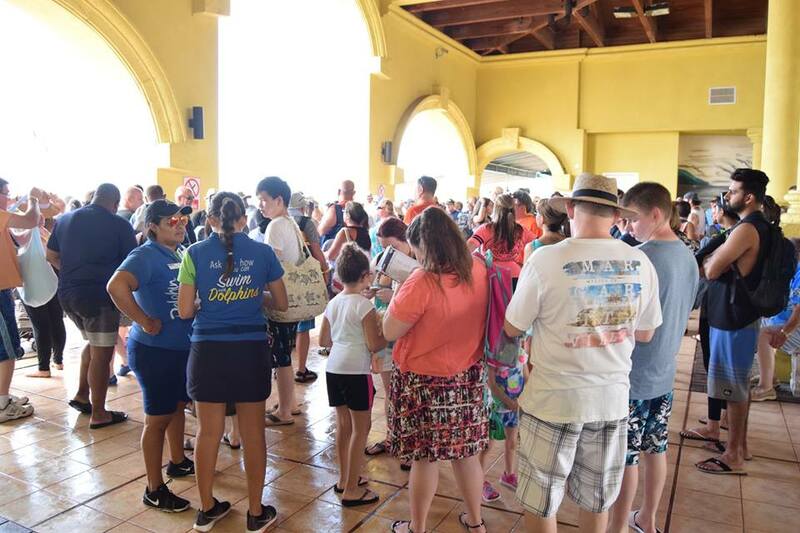 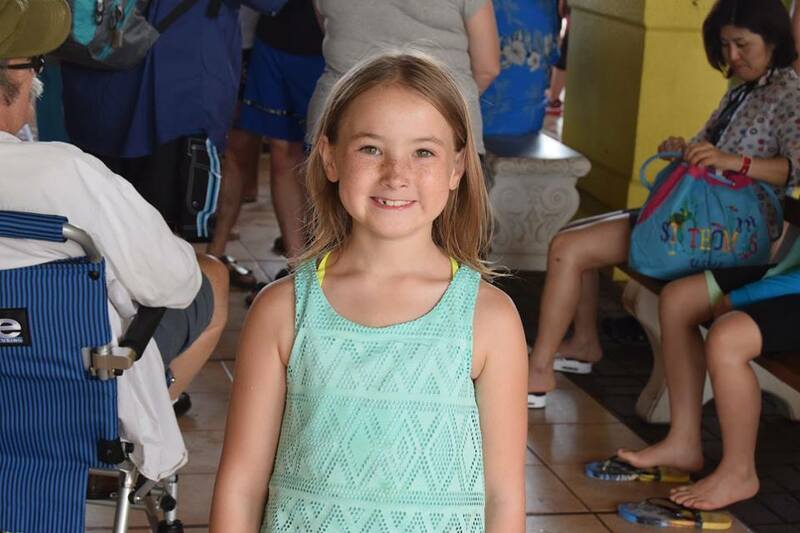 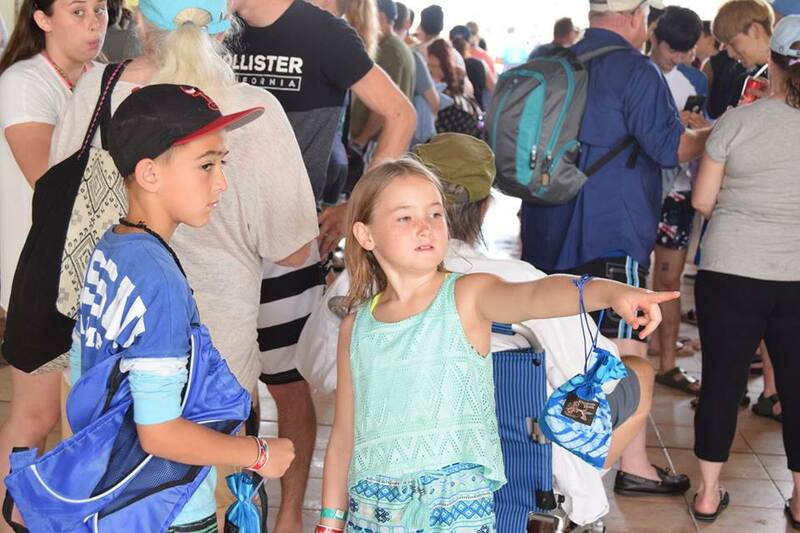 The ship has a maximum capacity of 6,780 passengers, and is scheduled to visit the island every two weeks from May through August. 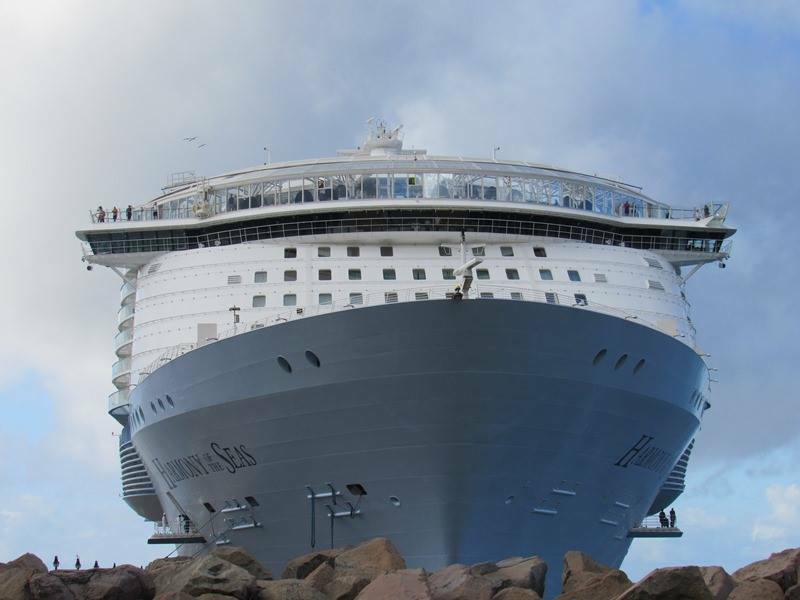 The ship features a ten-story dry slide, three water slides, an 82-foot zipline, a robot at the Bionic Bar, two rock-climbing walls at 43 feet each, an ice skating rink, classical carnival games at the Boardwalk Arcade, two flow-rider surf simulators, 20 dining venues, and for the first time at sea; live performances of the Broadway hit musical, Grease.